2018 saw the Australian debut of the world’s premiere rock and metal festival Download! 30,000 heavy music fans descended on Flemington christening Melbourne into the Download family alongside Donington UK, (the spiritual home of rock), Paris France, Madrid Spain. 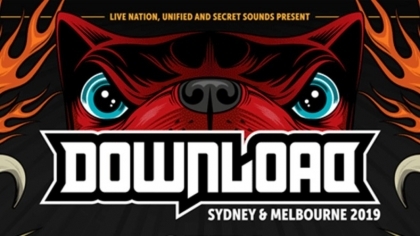 In 2019, Download returns to Melbourne and will head north to serve up a mammoth line up of sonic brutality and great times to Sydney siders for the very first time!